Sailing across the Adriatic coast is an experience you’ll never forget. 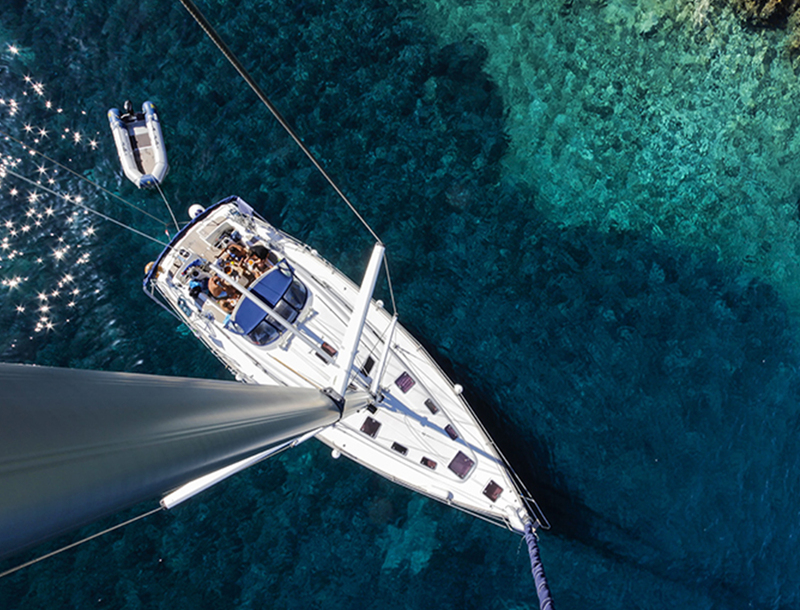 From swimming in the beautiful turquoise sea to stopping over in beautiful coastal towns, you truly get the best of both worlds when you’re experiencing a sailing escape to the Adriatic. There are a few different routes you can take and if you’ve hired a skipper with your yacht, they’ll be able to recommend routes and help you alter your plans if you feel the need. And because you’re not on a formal cruise, you have so much flexibility, to stay wherever you want for as long as you want! The islands in Southern Dalmatia are the most popular destinations. One route we recommend is Split – Dubrovnik (or vice versa). This is one of the most popular routes and is also common amongst cruises. To personalise the route to you, you can stop over at any of the islands.. whether its Hvar, Brač, Ston, Korčula, virtually any island. Another popular route is Opatija – Zadar. This route can take you through to the smaller off the beaten track islands including Cres and Krk. Once again you are not limited to only these islands, you have the freedom to decide where you want to go and how long you want to spend at each place. It’s a good idea to plan roughly what route you want to take so you do want to stay on land, you can book the accommodation component. How long should I sail for? Sailing trips can range anywhere from 8 days to months. Its all up to you and how much time you have. The longer you sail for, the more time you have to spend in towns you like and the more time you have to explore cities you may not have discovered yet. Croatia’s coast has a fairly Mediterranean climate. With warm summers and relatively mild winters. Peak season in Croatia is summer (July and August) when it’s hot and dry. This is a great time to sail; with warm weather for stopovers and the coastal breeze keeps you cool while sailing. If you would prefer fewer crowds in the popular towns, then June and September are the months for you. It’s still fairly warm during these months and you have more space and time to explore your favourite sites. If you don’t mind cooler temperatures, May and October are also great times to sail, and it’s usually much cheaper to hire a yacht. In addition, you will experience fewer crowds and its still warm enough to swim in the sea. For tips on what to wear and what to take on your sailing experience, click here. As long as you know how to sail or have a skipper with you, a sailing adventure is a unique and wonderful way to experience the coast of Croatia taking advantage of the countries best features.